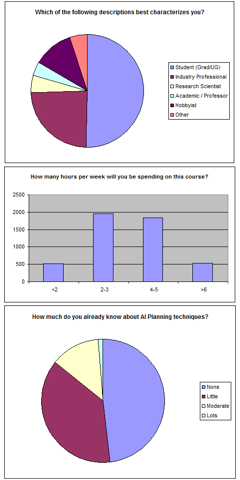 This post shows data for the Coursera AI Planning MOOC 2013 session taught by Gerhard Wickler and Austin Tate of the School of Informatics at the University of Edinburgh. The MOOC ran from January to March 2013. Version: 11-Feb-2013 – based on sample of 3,335 AI Planning MOOC respondents. 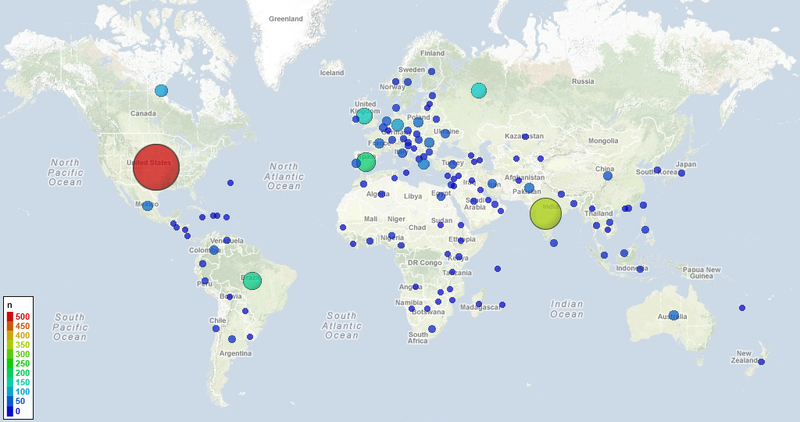 Version: 3-Feb-2013 – based on sample of 4,728 AI Planning MOOC respondents. The University of Edinburgh Distance Education Initiative MOOC Team conducted a post course survey for all the 2013 Edinburgh Coursera MOOCs, and the “student satisfaction” response for the AI Planning MOOC showed that 93% of respondents found the course excellent, very good, or good. This entry was posted in MOOC and tagged Coursera, MOOC. Bookmark the permalink. Thank-you for sharing this information 🙂 I’m interested in the ways that MOOCs are assessed – could you give further details about what the homeworks/quizzes/assignments involved? Were they auto-graded (such as multiple choice quizzes) or did the course include peer graded assessments? Thanks! 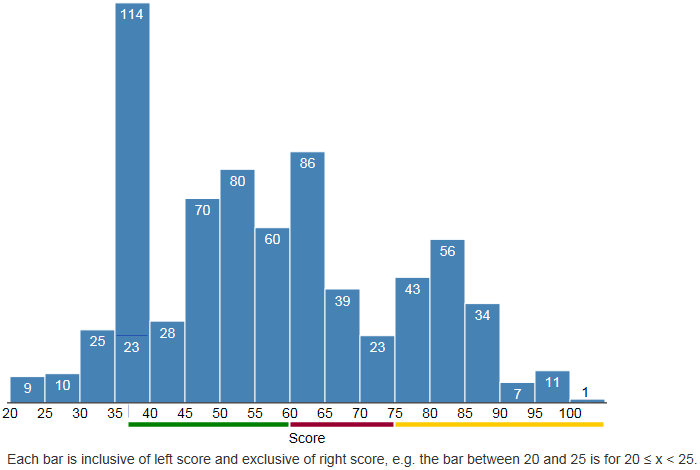 We used a combination of in video quizzes, non-scoring quizzes, scoring exams (with a range of options), programming assignments and a challenge that had community review – but it did not this time use the peer-grading mechanism as we had no experience of that. So essentially we used almost all of the Coursera platform assessment features except for peer grading this time. A report on “The pedagogy of the Massive Open Online Course: the UK view” has been prepared by Siân Bayne and Jen Ross of the University of Edinburgh School of Education for the UK Higher Education Academy (HEA) and published as a PDF document on 6th March 2014. This includes some commentary on the AI Planning MOOC course design and statistics from the 2013 session.